I’ll never forget a local cafe owner comparing Ljubljana to a little girl in a dress. She’s cute and charming, but never to be taken to seriously. We spent a week cafe hopping around Ljubljana and found it to be one of our favorite European cities. It’s small and digestible with the ability to walk between all the sites, restaurants, bars, and cafes. This is our list of 15 things to do in Ljubljana. After, if you have some time after exploring Ljubljana head to the Julian Alps, Lake Bled, or the Slovenian Countryside. One of the best ways to gain insight into the city’s people and culture is to visit the local market. So it’s the perfect way to start your time in Slovenia’s capital and head heading to Central Market. 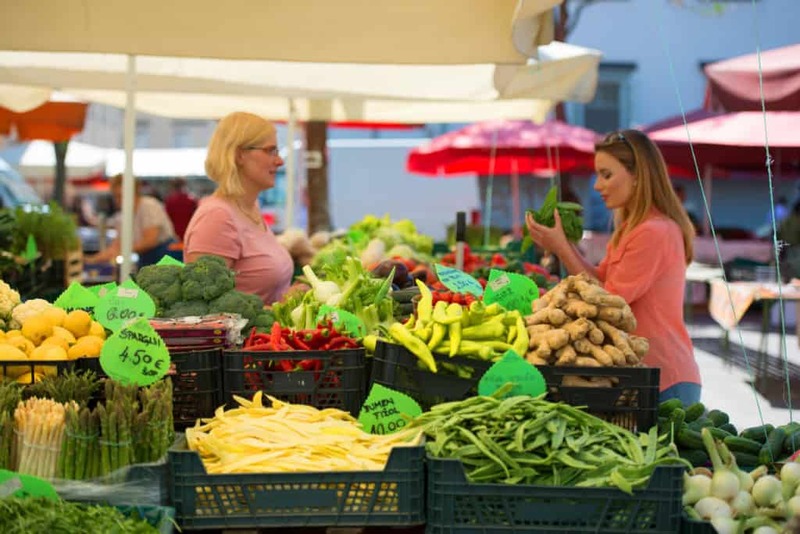 You’ll find an appealing array of fresh meat, fruits, and vegetables, but you’ll also be impressed by the market’s architecture. It was designed by a beloved Slovenian architect Jože Plečnik known for his many contributions to Ljubljana. The market lies between Triple and Dragon Bridges and is open Monday to Saturday. It’s one of the things to do in Ljubljana that should be near the top of your to-do list. However, it’s probably best to not be like us and arrive late as with all markets it’s a morning time affair! The city center is brimming with cafes serving up the local specialty drink, a white coffee. You’ll find the majority of coffee shops and cafes along the river with outdoor seating. As you stroll around the city it becomes hard to resist sitting outside with the beautiful waterfront. The white coffee may not be for coffee aficionados, but it’s a shot of espresso topped with lots of milk and frothy foam. Pair the white coffee with a tasty cake and the European café culture is alive and well here. The only real problem is the abundance of cafes, so how do you choose? We took a break from our backpacking adventure around Europe and spent a week hopping around the city center’s cafes. You can read more about our favorite coffee shops in Ljubljana here. 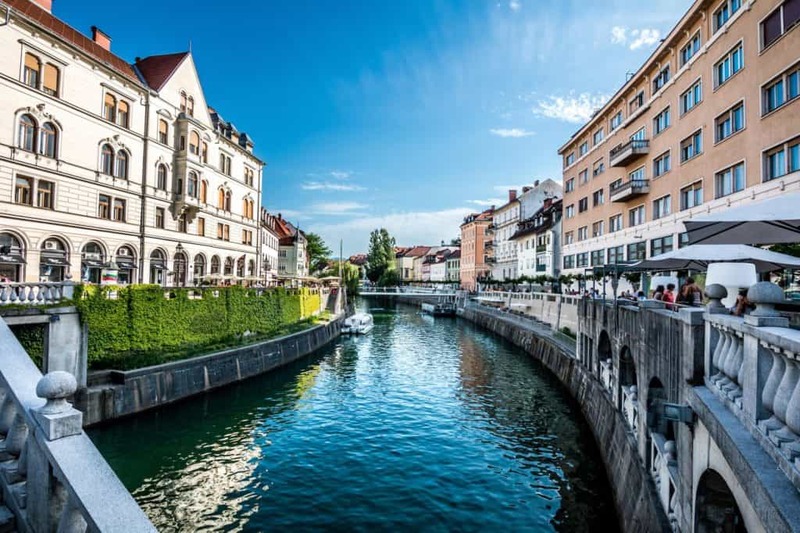 Though rich in history and tradition, Ljubljana has a lot to offer those who’d like to learn more about its contemporary history too. If that sounds like you, then the National Museum of Contemporary History should be on your itinerary. Located in Cekin Mansion on the edge of Tivoli Park, the museum has been open since 1951. Most of the exhibits, artwork and photographic collections focus on the time between World War I, World War II, and Slovenia’s independence in 1991. Saint Nicholas Church is an iconic cathedral in Ljubljana with a unique green dome and two magnificent towers. Also referred to as Ljubljana Cathedral, Saint Nicholas’ Church and the Cathedral of Saint Nicholas, whatever you or the locals choose to call it, it may just be one of the highlights of your trip. Though the original structure was built in the gothic style, an 18th Century makeover transformed it into a baroque-style cathedral. 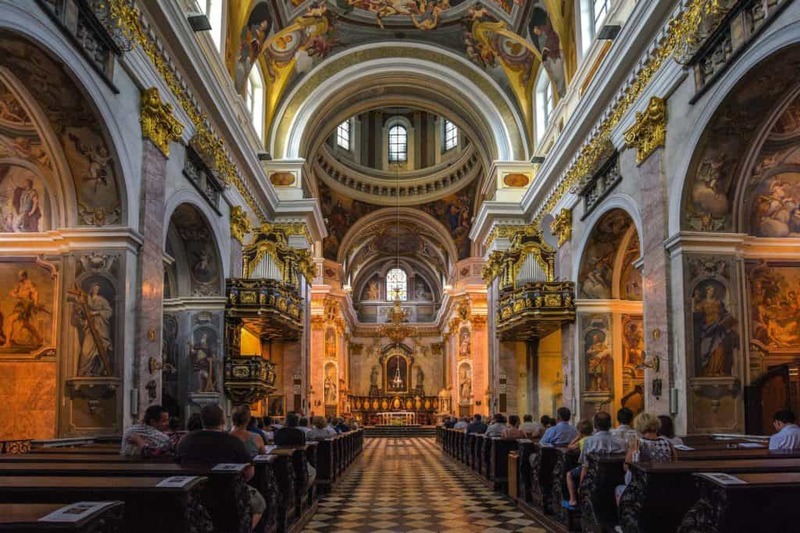 Decorated with frescoes, Roman tombs, and statues of important saints, the cathedral is conveniently located in Cyril and Methodius Square, near Central Market and many other city hotspots, so it’ll be easy to fit in with other places you’ll want to see. Considered by many to be the heart of Ljubljana, Tivoli Park is the city’s largest park and is located near the city center. With its greenery and winding paths, it’s a great place to take a short break from the city’s hustle and bustle, or maybe even have a romantic picnic. If you aren’t quite ready for a rest after a stroll along the promenade, then you’re in luck, because there’s a bowling alley, tennis courts, and even a mini-golf course. Make your timing right, you’ll be able to see one of the special exhibits that grace the park at different times throughout the year. Thanks to its central location, there are restaurants, coffee shops, and bars all within a short walk too. Ljubljana is experiencing an artistic and creative renaissance of sorts. Though independence took root nearly 30 years ago, it seems there’s still a resurgence of expression and creativity after those two things had been stifled for so long. And isn’t it just like those chic artists to live in abandoned factories, grungy warehouses, and – in Ljubljana’s case – a decrepit and empty army barracks near a train station. Metelkova Mesto is an area near Old Town, where most nights, artists, art appreciators and revelers gather amidst the graffiti-ridden walls to admire all types of colorful, creative and macabre works, from paintings to sculptures. There are more formal shows and concerts held on occasion too, but rumor has it that it’s not particularly appropriate for kids, especially after the sun goes down. 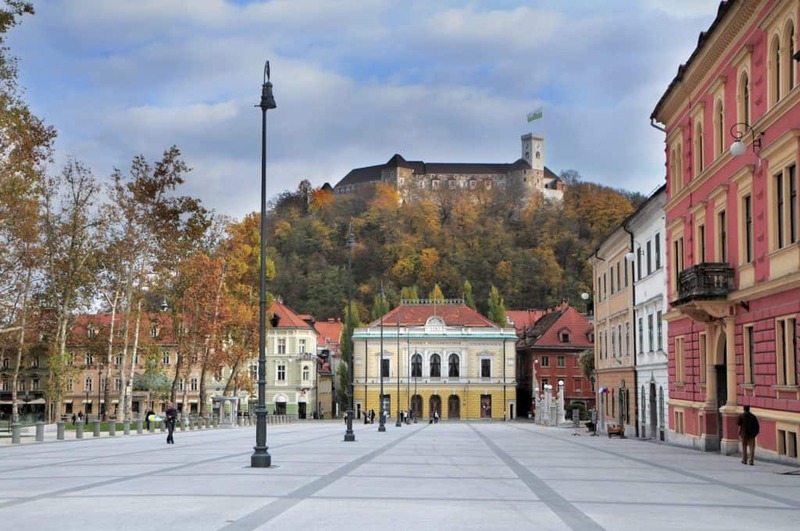 Like its cousin in Budapest, Ljubljana has a hilltop fortress that looms over the city called Castle Hill. Originally a fortress built around the 11th Century, it’s an easily recognized feature of the city’s landscape, and should really be explored. Though it has undergone many renovations throughout the years, the castle and complex retain much of their original glory, and today its primary use is that of a cultural and education center. So central is it to the city’s history that it’s included in the city’s coat of arms, along with the ever-present dragon. There’s a funicular to carry you to the top and back down again and their hours of operation and fees are listed on their website, so check it out before you go. 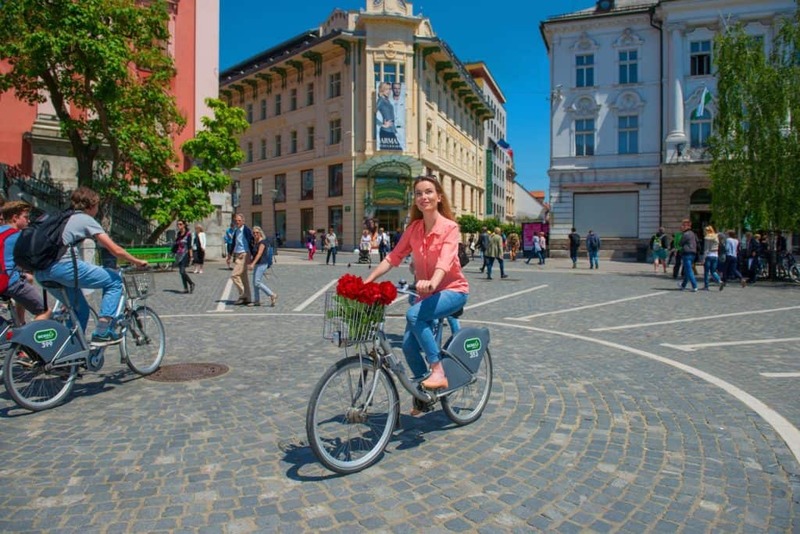 Ljubljana is one of Europe’s greenest cities and just about everyone bikes around the city. Everyone can go join in on the fun as the Slovenian Tourist Information Center offers bike rentals. The best part is the bike rentals super affordable and a part of the Ljubljana Bike Project to encourage everyone to bike around. Hours April, May and October 8:00-19:00 Monday to Friday, 9.00-17:00 Saturdays, Sundays and Public holidays. Dragons, dragons everywhere, and not a one to slay. 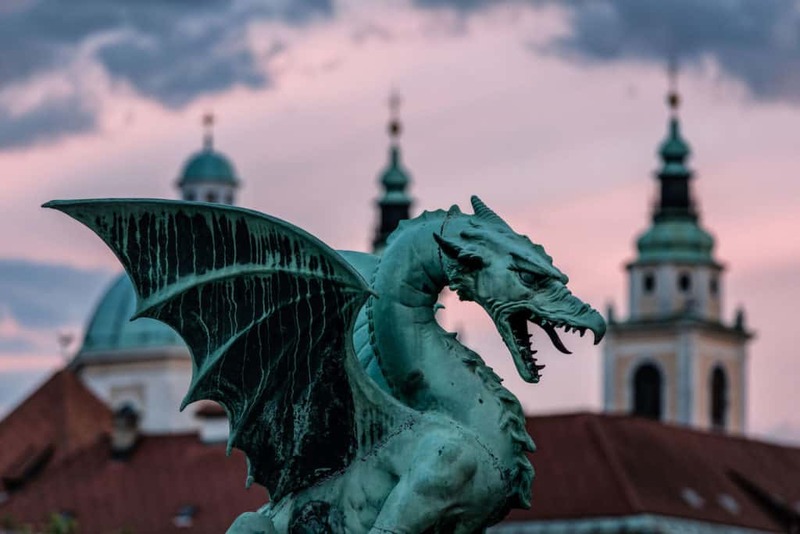 There’s a strange fascination with dragons that lies deep in the collective psyche of the people of Ljubljana. You’ll find them on street signs, menus, t-shirts, manhole covers, and even the city’s official crest. Symbolizing strength and an indomitable spirit, perhaps the people of Ljubljana do have a few things in common with the mythical beast. A fun activity for all – especially the little ones – try splitting up into teams, or just work as one big team, and spend an hour or so walking around the city cataloging all the dragons you can find. You’ll be surprised how many there are. If the name conjures unpleasant and bloody images that you’d rather avoid, try calling it what the locals do – Love Bridge. Like a magnet to sweethearts all over the city, Butcher’s Bridge is where romantic lovers come to symbolically lock their destinies together by dropping a padlock into the Ljubljana River below. The bridge is located near the Central Market and there are sculptures nearby from a famous Slovenian artist, most of which depict scenes from the country’s fascinating past. It’s not the traditional coastal beach, but this is where the locals head when they want to relax outdoors. It’s located along the Ljubljanica just south of the city center. You can’t go for a swim here, but it’s still a refreshing place to relax on a nice day. Head further out of the city along the river to Špica. The park has a nice café, and there is a dock for Ljubljana’s collection of boat bars and tour boats. Another special place to the people of Ljubljana in a city brimming with them, Presernov Square lies at the foot of Triple Bridge between Old Town and New. With its central location, picturesque setting, and proximity to hip shops, cafes, and bars, it’s a famous rendezvous point for locals and tourists alike. In the afternoon and on weekends especially, the square is home to many performers who use the park as an impromptu stage to showcase their particular talents. 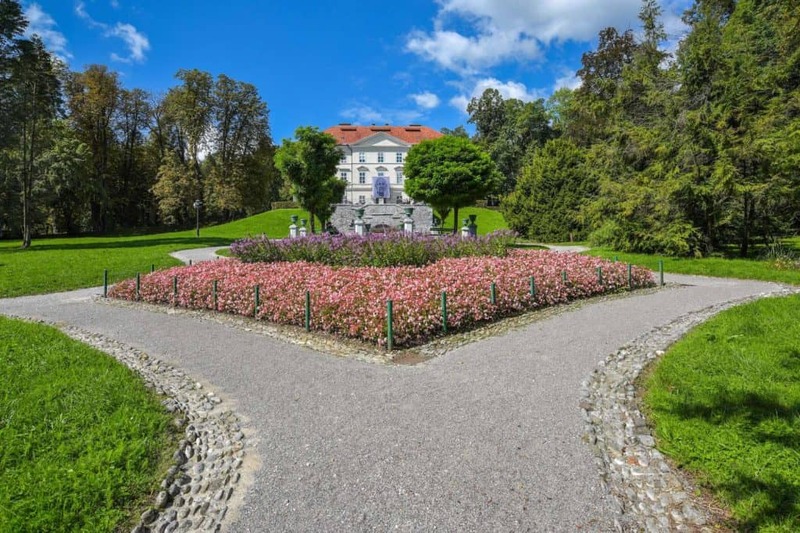 Designed by famous architect Maks Fabiani, the park has been refurbished and updated over the years, which makes it a great place to see an odd but intriguing melding of old and new architecture. There’s something about trains, especially old ones, that always drags me back to more romantic eras. Visions of men in trench coats and hats, smoking unfiltered cigarettes and waiting on mist-ridden platforms for their stunning and incognito lovers to arrive gets the old juices flowing. If I lost you at the cigarette part, please skip to item 11. But, if you’re a train aficionado, grab your fedora and Lucky Strikes and head to the Slovenian Railway Museum. Residing in an old industrial area, the Slovenian Railway Museum is one of the many things to do in Ljubljana that will give you a taste of both old and the new. The museum’s exhibits include many modes of transportation that came before trains, like coaches and wagons, but the best part includes intricate models, tools, pictures and the actual locomotives themselves. The exhibits are pretty self-explanatory, but there are helpful staff if you need them to answer a question. To top it all off, you can take a short ride around the grounds on a restored train. No matter where in the world you find yourself, a good way to get a glimpse into the heart and soul of the people is to visit the country’s national gallery. 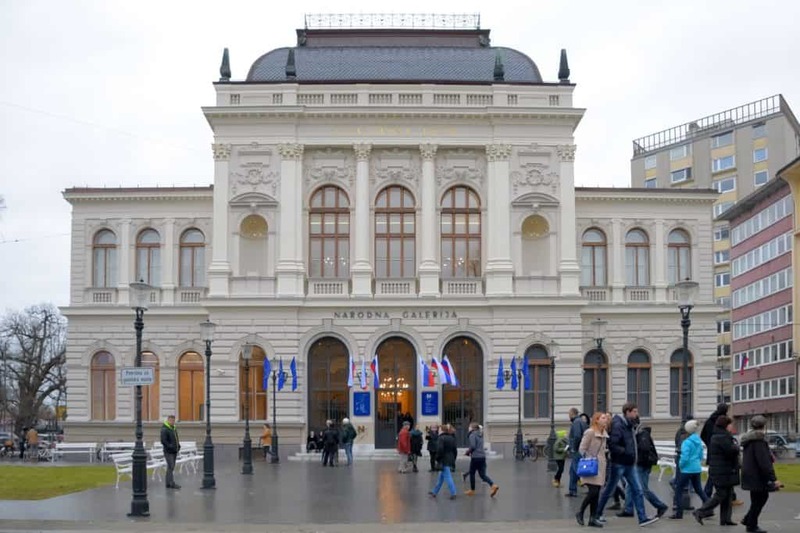 Exhibiting works from medieval times to The Renaissance and right into the 21st Century, the National Gallery in Ljubljana is a stop you’ll want to make. The works on display are mostly Slovenian, but other European artist’s works are represented too. Throughout the year, there are different exhibits and even some hands-on activities for both adults and children. Tours are available if you’d like a guide, but most of the exhibits are clearly marked and labeled so you’ll get a pretty complete idea of the artist and work on your own. Boat tours are great ways to get an alternative view of the city, for those who aren’t prone to seasickness, that is. But even if your sea legs aren’t what they could be, fear not, because the Ljubljana River isn’t known for ship-tossing waves. There are a number of boat tour providers, so ask around for a recommendation or check online. Most tours last no more than an hour or two and will be a welcome diversion from so much walk-intensive sightseeing. It’s a great way to see the city’s many bridges, but a few of the sights previously mentioned will be visible too, which may give you a case of déjà vu. Refreshments and facilities are available, but you might want to bring some snacks and a jacket depending on the season. Named after its location in the geometric center of Slovenia, Geoss Adventure Park isn’t your grandma’s kind of tourist site. With zip-lines, climbing ropes and obstacles of every shape and size, it may be more like Marine Corps boot camp than a vacation. If you spent the last week in Ljubljana stuffing yourself like you were the last person at the all-you-can-eat buffet on the Titanic, then look at it as a perfect way to reduce that ever-expanding waistline. Located about 20 kilometers outside town, it’s relatively easy to get to by bus or taxi, and despite the granny wisecrack, there are things to do for most ages and levels of physical ability. There are various routes, the most difficult of which takes up to three hours, but there are courses designed for children as young as four years old too. Their hours of operation and fees vary with the season and are laid out clearly on their website, so give it a thorough look before heading out. Also known as Robba Fountain, the Fountain of the Three Carniolan Rivers stands majestically in front of Ljubljana’s Town Hall. 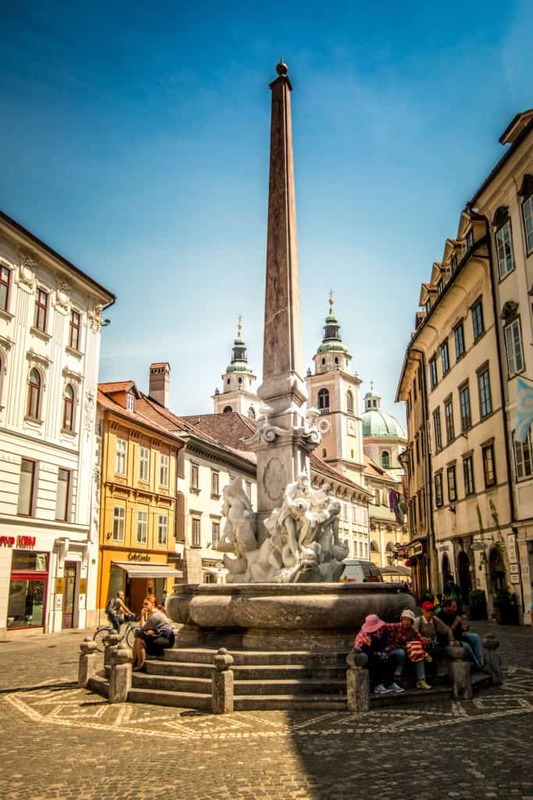 Designed by Italian sculptor Francesco Robba and installed in the middle of the 18th Century, it’s been a recognizable icon and symbol of Ljubljana ever since. There’s one more interesting fact that you may never find out on your own: the original was moved to the National Gallery about 12 years ago and the one you’re looking at is a rather convincing replica. So, if you’ve done the National Gallery tour, you may be scratching your head and experiencing another bout of déjà vu. The fountain became such an important symbol after Slovenian independence that an image of it adorns the 5,000 Slovenian Tolar banknote, which has sadly been replaced by the Euro. Ljubljana is an easy city to travel as it well connected. The main transportation hubs are the airport Jože Pučnik Airport (LJU), Ljubljana railway station, and a bus station. We arrived from the border of Italy via bus which was easy. It’s also easy to arrive via train from the more popular European city of Budapest. If you’re planning a backpacking trip around Europe read our post on the cost and check out our post on the best backpacks. Where to stay in Ljubljana? We love Small Luxury Hotels of the World! 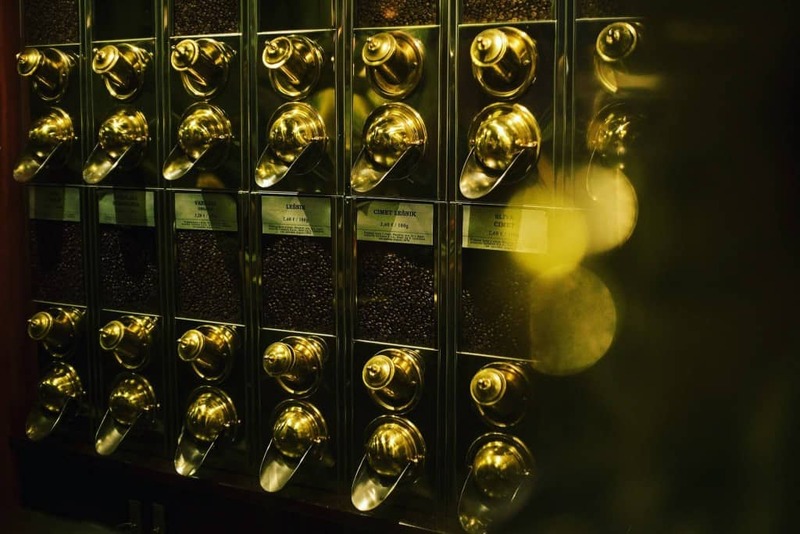 They are so….luxurious! Antiq Palace is a former aristocratic residence turned boutique hotel. It’s located in a great spot in the city and still maintains many 16th century details! Another well located hotel is the Best Western on Slovenska Cesta. This hotel has stylish and comfortable rooms that fall in line with the Best Western Brand. A great buffet breakfast is included before you head out to take on the city! For those on a budget Kva Hostel offers dorm and private rooms that cater to all travelers. It’s well located, clean, and has rave reviews! Pack: Don’t forget to check out our ultimate European packing list. Accommodation in Ljubljana: We like to stay at Airbnb’s when we travel to feel more at home. Here is a coupon for your first stay! Guide Book: Sometimes it’s nice just to have a real book in your hands when traveling. We recommend the Lonely Planet European guidebook. Adapter: Remember that Slovenia uses the Europlug. Make sure you find a good adapter like the one I have to keep you charged. Otherwise, you may be paying for a cheap one once you land.